Large and moist, unpitted (stone in), Agen prunes renowned for their taste and texture. Delicious incorporated into breakfast cereals as part of your five a day and notoriously high in fibre. Agen prune can also be used more creatively and added to pates and stews, traditionally rabbit. 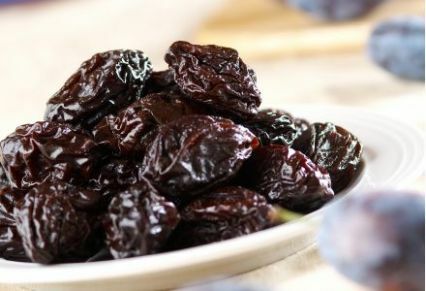 We find that the stone in variety taste a little better than the pitted agen prunes – in the same way that stone in olives tend to taste better than pitted olives. Selected and packaged by Maison Cotolot who have been preparing Agen prunes since 1906. Storage: Store in a cool dark cupboard. Shelf Life: 1 Year minimum. Dietary Information: Suitable for vegetarians and vegans. Gluten and wheat free. Dairy free. Lactose free. Egg free. Nut free. Unpitted agen prunes, Preservative (E200). 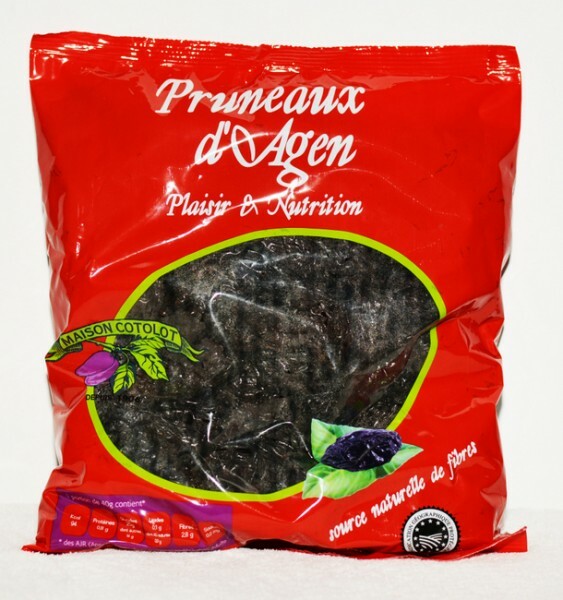 A good way to enjoy agen prunes is incorporated with some muesli or granola for breakfast.